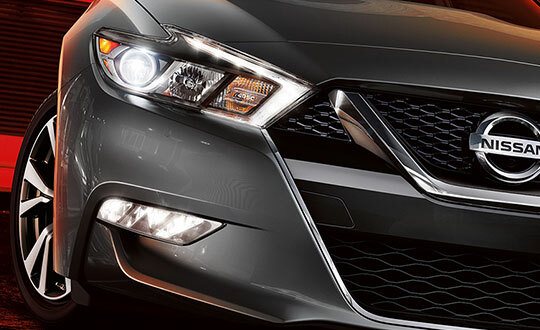 There are many reasons why the Nissan Maxima is one of the best full-size sedans on the market. 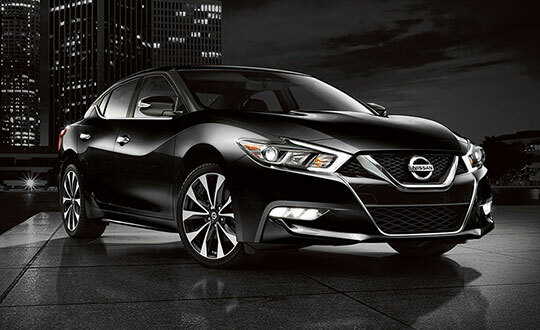 With its winning combination of exhilarating power, luxurious design, along with a bevy of Nissan safety features, it makes the Maxima a top choice. While it besets a sports style on the outside from a low stance, sculpted lines and a floating roof, the inside of the Maxima doubles down on this stylish aesthetic, making every control designed to compliment you and your drive. Meanwhile, the Nissan Intelligent Mobility™ features ensure top tier safety from this confident sedan. Explore the Nissan Maxima at West End Nissan, your Nissan Edmonton dealer for all sedans, crossovers and pickups! A sport sedan looks stylish, sure, but it doesn’t mean much if there isn’t power under the hood to back it up. The 2019 Nissan Maxima doesn’t fall into an “all looks, no performance” trap, especially with its 3.5L V6 engine. 300 horsepower is pumped out of this high-performance engine, one that has over 60% of it redesigned specifically for the Maxima. As well, a Sport Mode gives you better throttle, shifting and steering response for when you really need to kicks things up. You have to be comfortable at the mercy of all that power, right? Cradle yourself in the zero gravity front seats designed to fit your body, and easily work the centre console from your seat as it’s been rotated more towards the driver for immediate responsiveness. Along with all of the Nissan safety features, a bundle of new technology is included to make your drive that much more effortless, from NissanConnect to an Advanced Drive Assist that’s conveniently displayed on your dash. The 2019 Nissan Maxima presents the new standard of what all modern full-size sedans should be. The 2019 Nissan Maxima has seen a selection of changes over its previous model year that make the newest edition that much more of an essential sedan. Both the front and rear have been updated (including the grille, bumper and LED headlights), along with more standard and optional safety components. The SR gets new leather and microsuede interior elements, as well as the optionality of the Safety Shield driver assist. The Platinum trim receives semi-aniline leather inside and gets the Safety Shield as standard. Experience all that’s new for the Nissan Maxima in 2019! Come to West End Nissan and browse first-hand the Nissan cars, crossovers and trucks, at your top Nissan Edmonton dealer. Our sales, service, parts and financing departments are ready and more than willing to field any of your questions!